Despite the fact that we spend about a third of our lives sleeping, we often forget or underestimate the importance of a good mattress when it comes to our health and relaxation. A mattress provides more than just a nice place to sleep; for many, it can help relieve numerous types of body pain and may make the difference on whether you have a good or bad day once you wake up. But what makes a good mattress, you ask? This is where Wise Bread will help you, as we provide our list of the top five mattresses. A mattress is essentially a large fabric pad that supports your whole body when you lie down or sleep on a bed. Mattresses come in a large variety of different shapes and sizes. Most traditional mattresses have an innerspring design, meaning their entire framework is comprised of metal springs. While this may be the most popular type of mattress, innerspring mattresses are not known for their durability, and they also have the greatest discrepancy of comfort among users. Newer options for mattresses include memory foam, latex foam, and air mattresses, which all aim to provide greater comfort by incorporating more moldable and springier compositions. Memory foam mattresses use visco-elastic foam in its structure to allow the mattress to literally mold to your body shape for better comfort on your joints, but the material also tends to get pretty hot due to its ability to retain more heat. Latex foam mattresses are similar to memory foam mattresses, with the main difference being that they retain less heat and are made out of more eco-friendly material. Air mattresses, not to be mistaken for temporary inflatable beds, have an innerspring-like design that contains air pockets that can be adjusted to provide more customized comfort. With so many different options available, ultimately the best mattress comes down to the one you find best for your own personal comfort and health. Despite the large number of innerspring mattresses available in the market, the Simmons Beautyrest line of mattresses manages to stand apart and above the rest, and it even received the top recommendations from both Consumer Search and Consumer Reports. 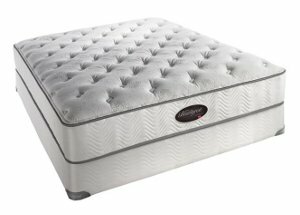 The biggest advantage that the Simmons Beautyrest line has over its competition is its unique pocket-coil design which provides incredible motion isolation for multiple users, making this an ideal bed for couples who want to avoid disturbing each other while sleeping. Users have also said that Beautyrest mattresses offer minimal pressure on the joints and great support for people who sleep on their sides. However, like most innerspring mattresses, the Beautyrest mattresses don't hold up too well over a long period of time and are even prone to premature sagging. Its very limited warranty does little to help alleviate the problem. Overall, despite its small flaws, the Simmons Beautyrest mattresses are still an incredible choice for those looking for superior sleeping comfort. As a Consumer Reports Best Buy, the Serta Perfect Sleeper mattress provides another great option for those interested in an innerspring mattress. Whereas the Simmons Beautyrest provided better comfort for side sleepers, the Perfect Sleeper provides excellent comfort for back sleepers while still delivering good side support. 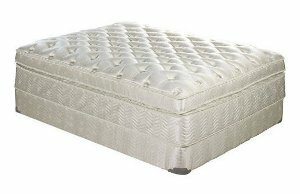 Serta also offers a wide range of firmness options available for the Perfect Sleeper, which is a big plus in the comfort department as well. For those who like to sleep cool, they'll be happy to hear that the Perfect Sleeper doesn't trap heat as much as other mattresses. There's also good motion isolation in this mattress line, although that aspect tends to vary among users. Premature sagging is still an issue with the Perfect Sleeper, as it is with most other innerspring mattresses, so your mileage will vary depending on the mattress you get. While it may not be the "perfect" mattress, the Serta Perfect Sleeper will still more than adequately satisfy your sleeping needs. Currently $529.99 for the Queen (firm) on Amazon. If you're interested in a memory foam mattress, not only is the Tempur-Pedic line one of the most popular options out there, but it's also one of the best too. As both a Consumer Reports and Consumer Search top recommended pick, the Tempur-Pedic memory foam mattress delivers incredible comfort and support by contouring to the shape of your body when you sleep. Many users have reported that the Tempur-Pedic's unique contouring feature has greatly improved their sleep quality and has even provided great pain relief. The Tempur-Pedic mattress also bests most innerspring mattresses in longevity, as it averages an overall lifespan of about 10 years. Better yet, it also comes with a 25-year warranty that covers mattress sagging. However, the Tempur-Pedic isn't without some faults. The Tempur-Pedic is one of the more expensive options for mattresses, and while it does have great motion isolation, some users have found it a bit hard to move on the bed in general. The memory foam material also tends to trap more heat than other mattresses. Despite all that, the Tempur-Pedic line of mattresses is still an excellent option for those looking for more comfort than can be offered from innerspring mattresses. 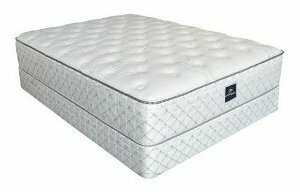 Currently $1,099.99 for the Tempur-Simplicity Queen on TempurPedic.com. Looking for Tempur-Pedic-level comfort that won't break the bank? Then you should check out the Ikea Sultan latex foam mattress. A top recommended pick from Consumer Search, the Ikea Sultan has quite a few advantages over memory foam mattress that may make it the more appealing option. The greatest advantage can be found in its latex composition, which delivers the same body-molding comfort of memory foam mattresses while offering great motion isolation that doesn't make moving on the bed very difficult. Along with that, the Sultan latex mattress retains less body heat than memory foam mattresses, and its firmer nature makes it better for front and back sleepers. The Sultan mattress has an above average lifespan of 8-10 years and is backed by a 25-year Ikea warranty. However, the warranty doesn't cover sagging, and the Sultan is still susceptible to that problem as it is continually compressed over time. The Sultan mattress is reversible, which can extend the lifespan of the mattress a bit longer if you flip it over. Overall, the Ikea Sultan provides an impressive mattress that delivers an even more impressive value. Currently $399.99 for the Queen on Ikea.com. For those who want a mattress with the most customization and flexibility in adjusting comfort, you'd be hard-pressed to find something better than the Comfortaire permanent-use air mattress, which is also a Consumer Search top pick. 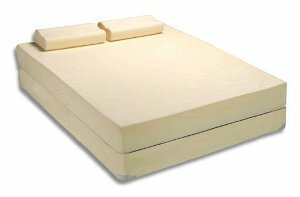 While air mattresses haven't become a commonplace household item just yet, many users have praised the Comfortaire mattresses for delivering incredible personalized comfort through its 65 adjustable firmness settings, which also make it proficient at providing pain relief for the hips and back. Furthermore, the Comfortaire mattress is especially great for couples since you can change the firmness settings for both sides of the bed individually. While most air mattresses that have this feature suffer from a hump or sagging problem in the middle of the bed, the Comfortaire does not. The Comfortaire mattress does have its share of problems, however, as users have complained about the air pump becoming really noisy when it's adjusting the firmness and about the need for constant maintenance for the mattress' mechanical parts. But the Comfortaire mattress is expected to hold up really well in the long run and touts impressive customer service ratings for those who need help. While it does carry a pretty high price tag, the Comfortaire air mattress definitely delivers on quality. Currently $700.75 for the OC200 Twin on Amazon. And those are our recommendations for the best mattresses! As always, be sure to check out the Wise Bread Shopping Calendar to learn when and how to buy just about anything! This is a great list of mattress reviews; I'm sure they'll come in handy for anyone who's planning to get the best value for their money. Your comparison between different types of mattresses (air, latex foam, memory foam) as well as their advantages and disadvantages will surely help us readers make informed decisions the next time we decide to buy a mattress!